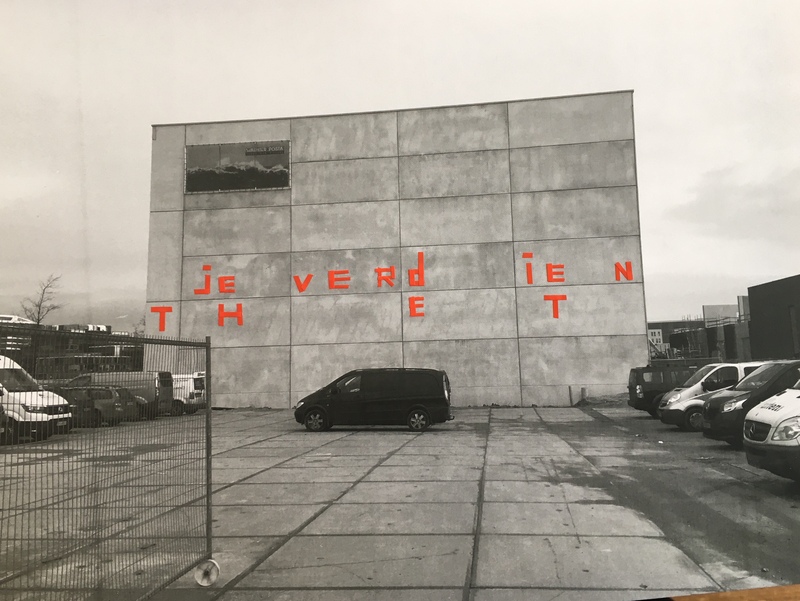 Je Verdient Het is a recurring text image of visual artist Joanneke Meester in the public space around Cargo. 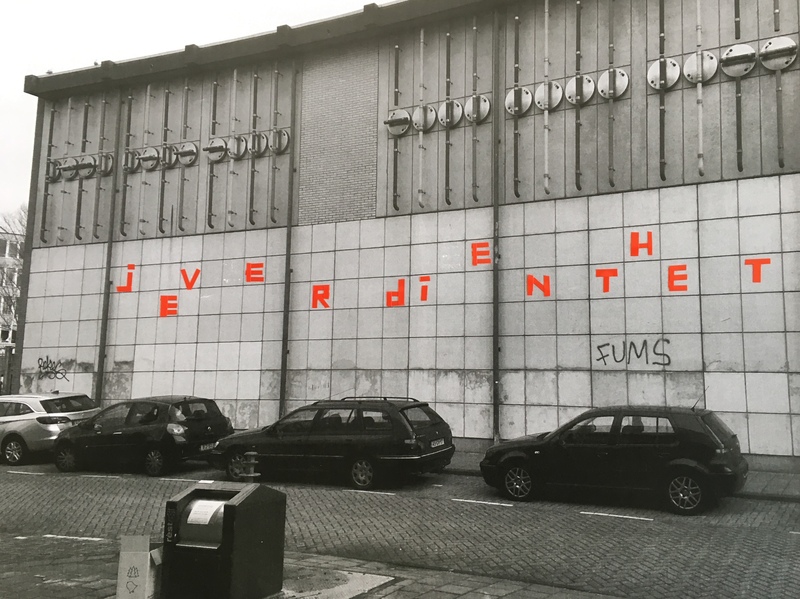 This new work by Meester will be tagged on various facades in the Houthaven and the Spaarndammerbuurt. Both neighborhoods are developed complementary to each other in terms of functions – living, working, shopping and doing business – by the urban planners. 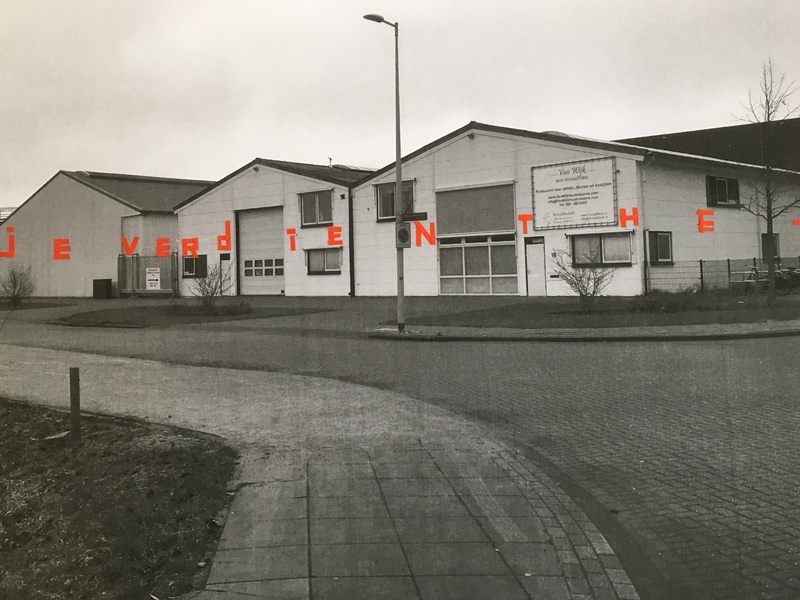 In the past few years, Meester acquired notoriety with her meaningful text images, of which the content gives the spectators food for thought. 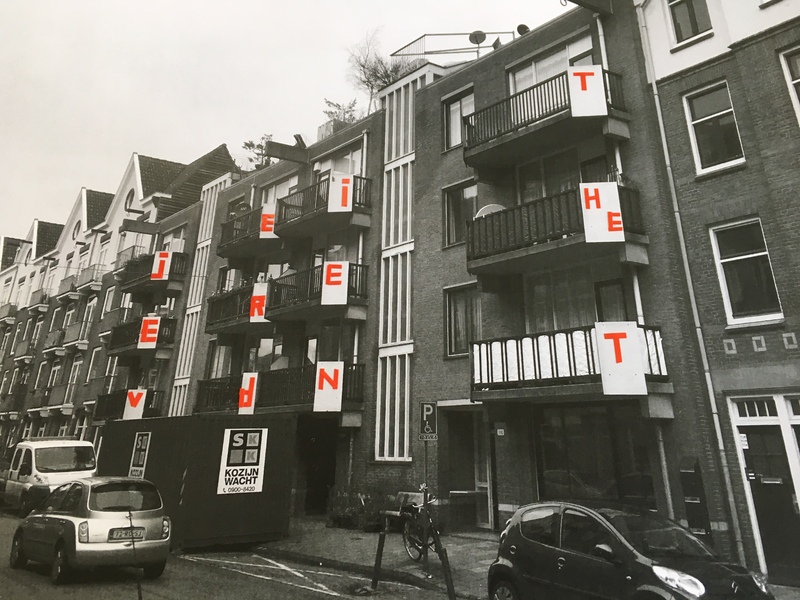 In and outside the Cargo project space, Benjamin Li and Marieke Zwart will react on it with a new work. 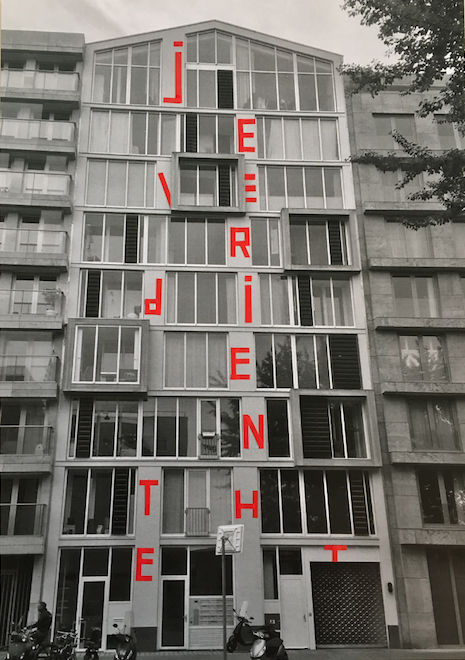 Nina Glockner and Césare Pietroiusti are showing existing work. Artist Joanneke Meester (1966) may be called a linguistic virtuoso or even literally ‘master of language’. Always drawing on situations or emotions from her own life, she manages to touch upon highly universal and/or actual themes. 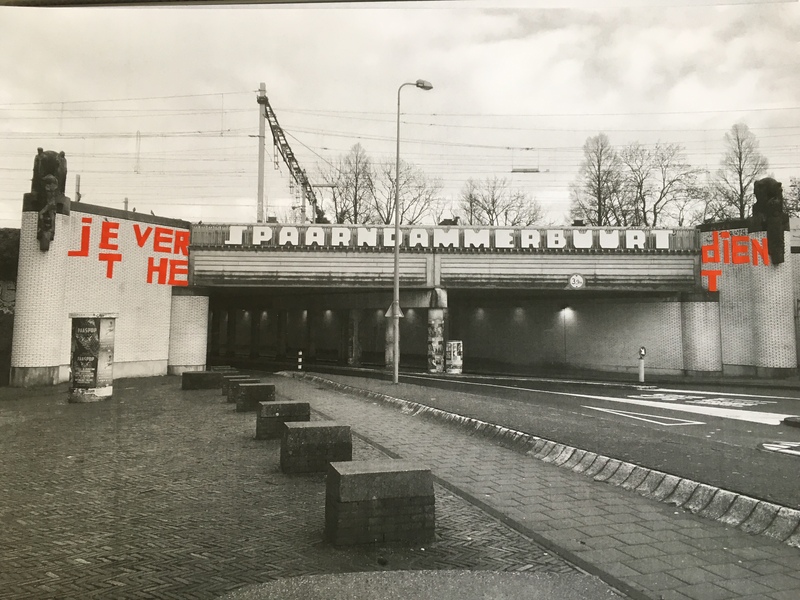 Over the past ten years she has developed her very own visual language in numerous locations both in and outside in the Netherlands, by using ‘manually applied tape’, which makes her work similar in some ways to graffiti. Meester’s texts have the same anarchic quality, or at least something bold or ironic, and by crossing the boundaries they implicitly comment on the political or social status quo. The difference with graffiti is that her work is certainly no street art. Her projects are almost always tied to a specific place or space, to which Meester makes herself subservient.